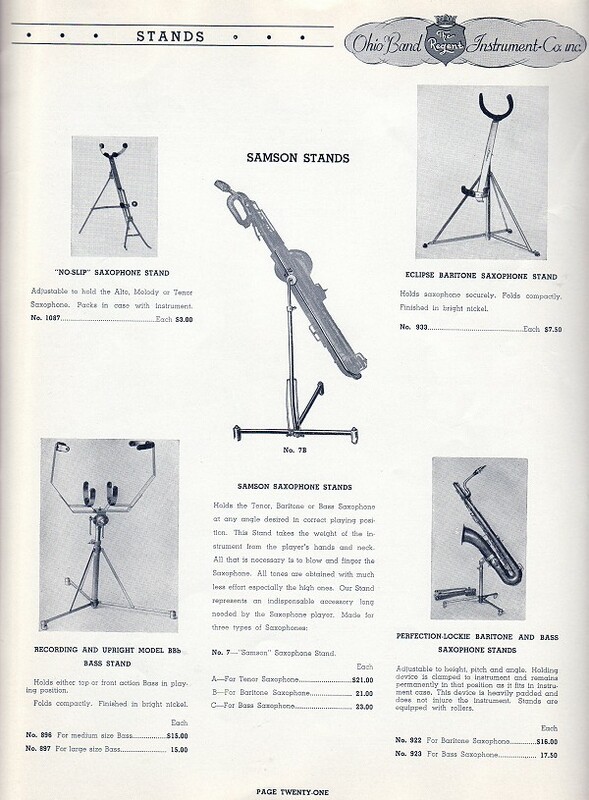 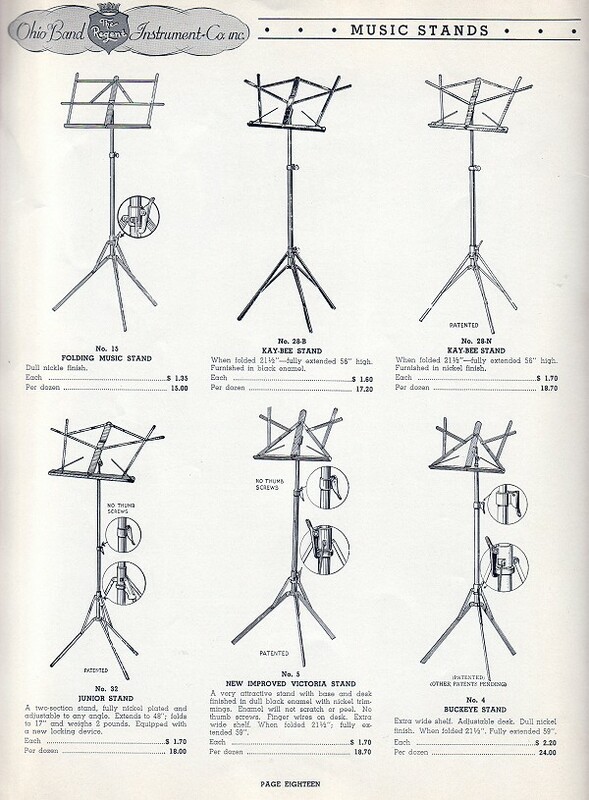 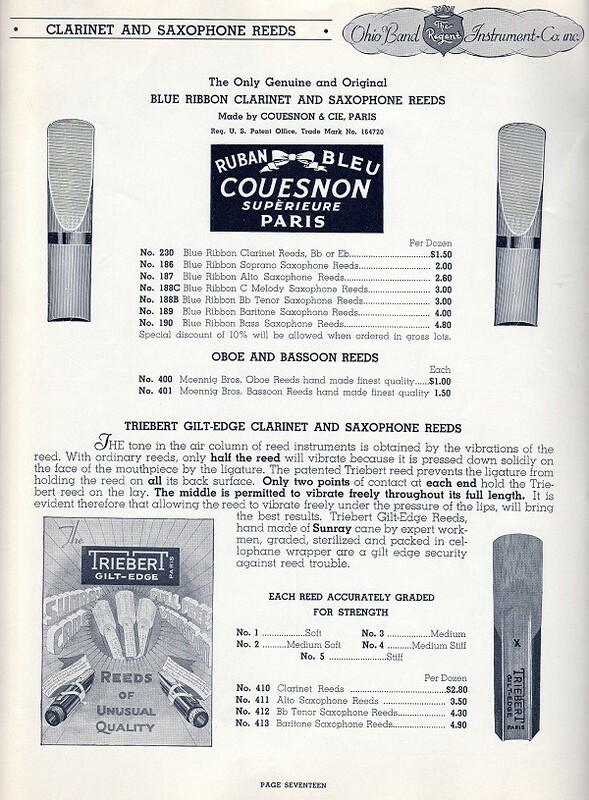 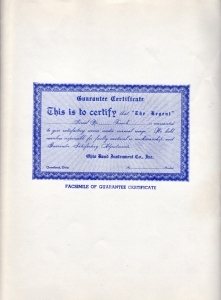 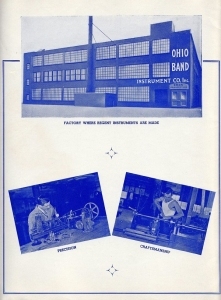 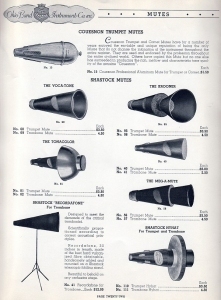 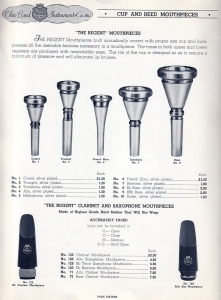 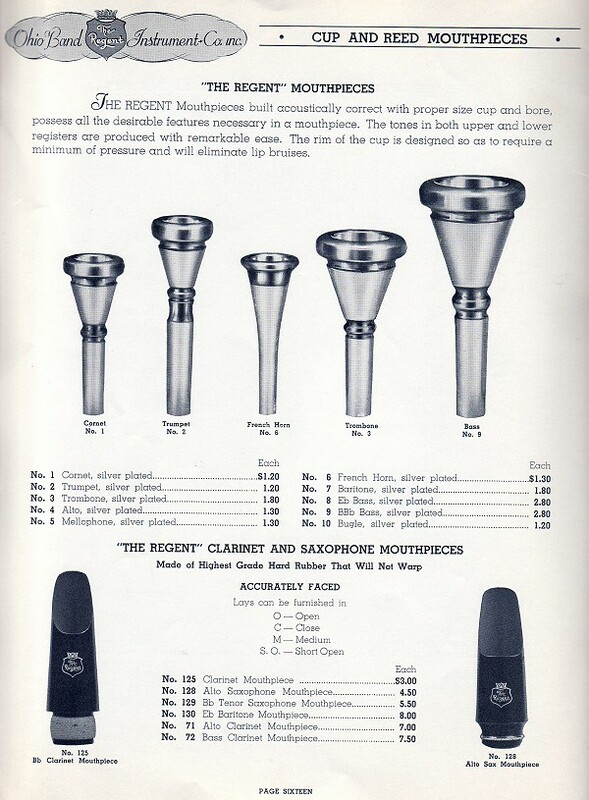 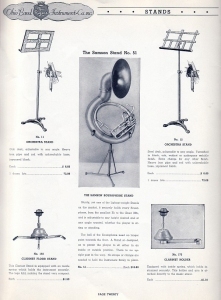 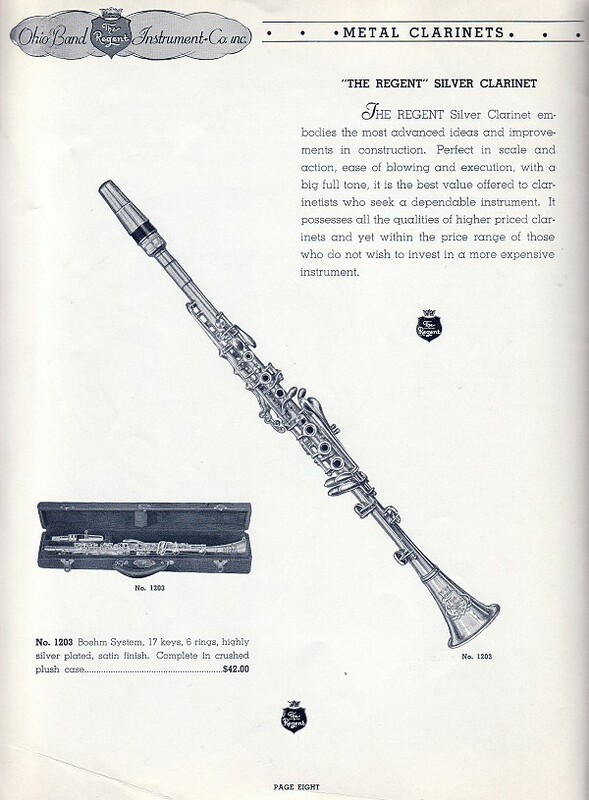 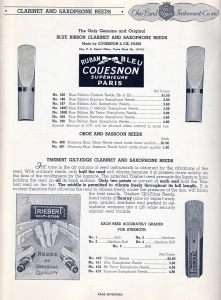 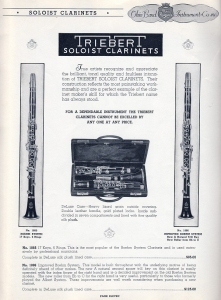 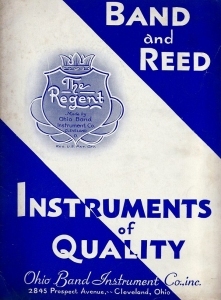 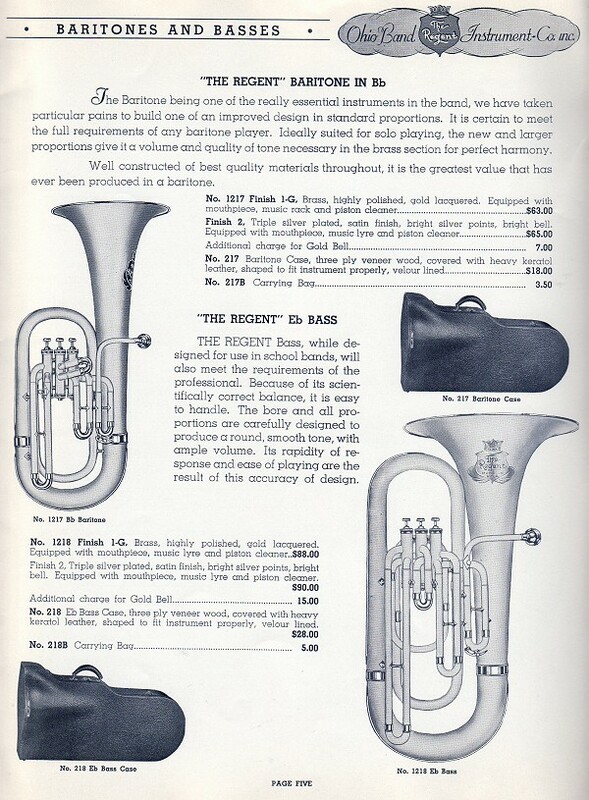 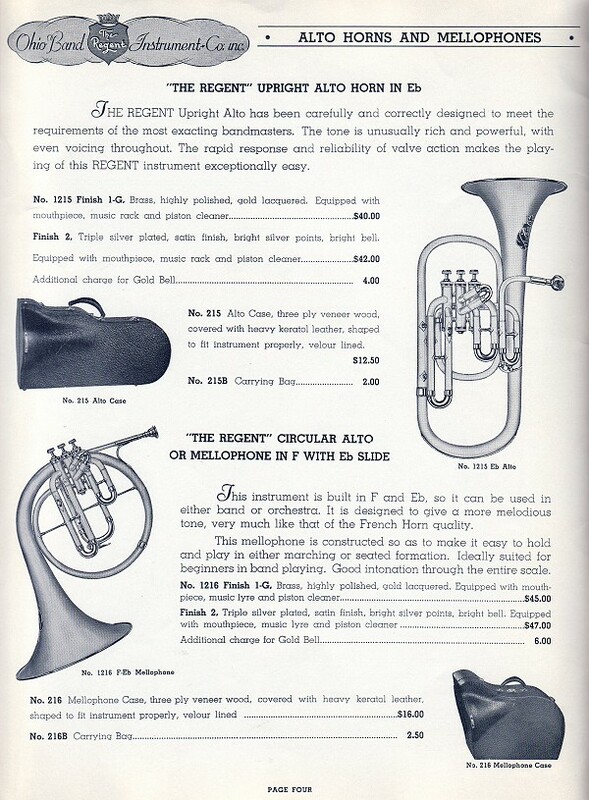 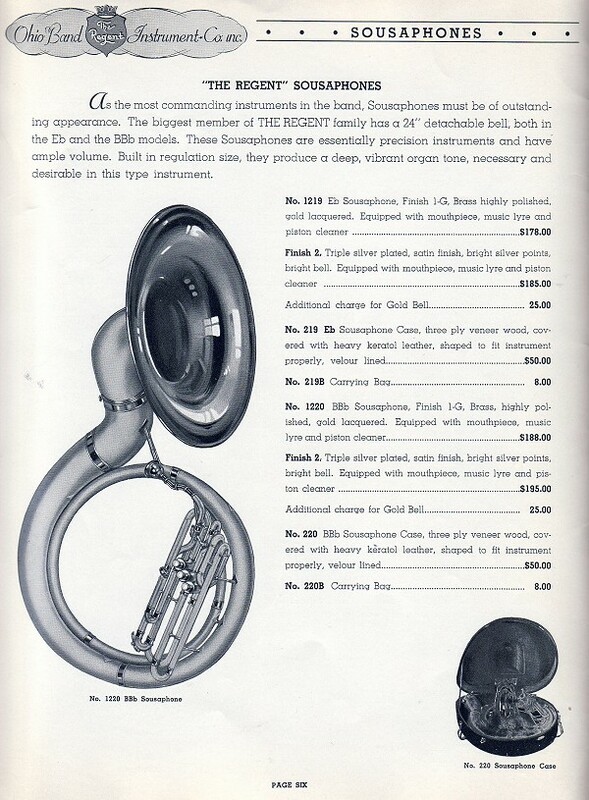 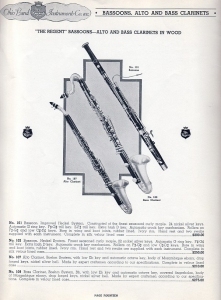 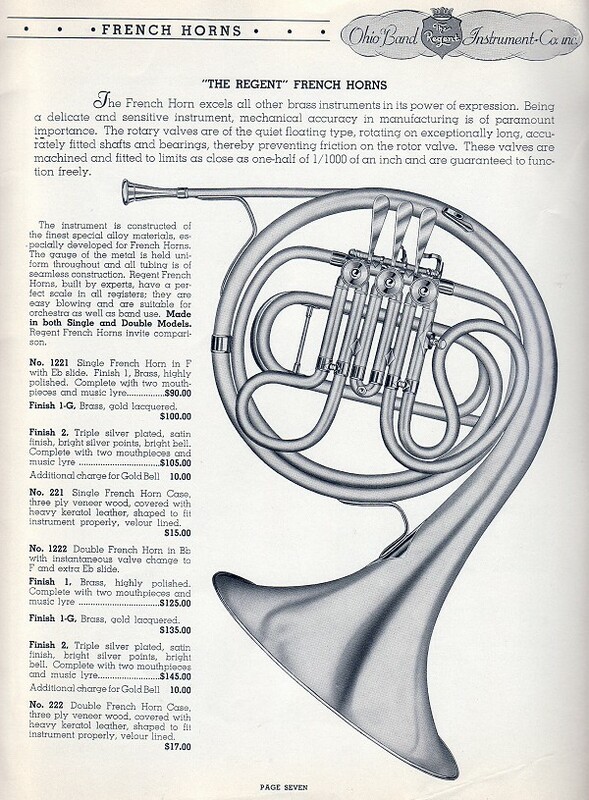 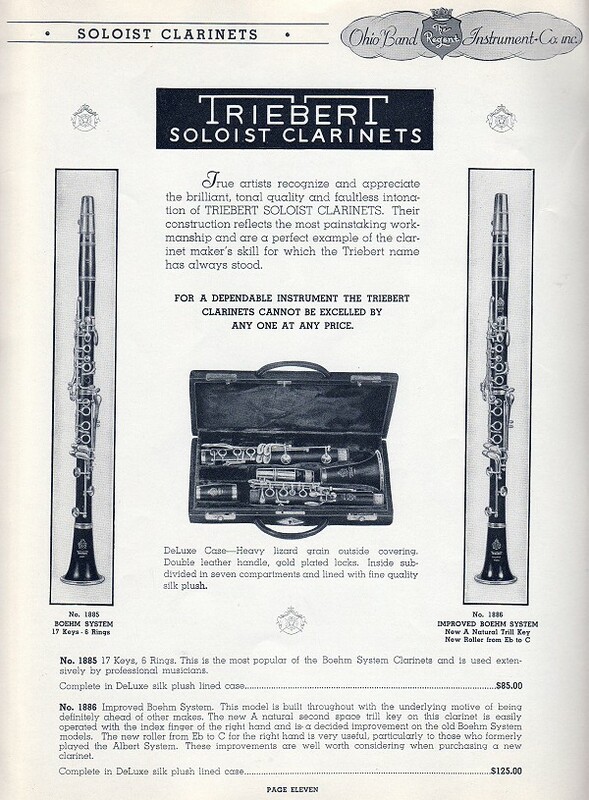 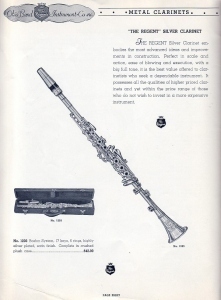 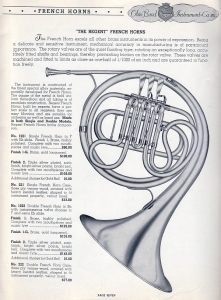 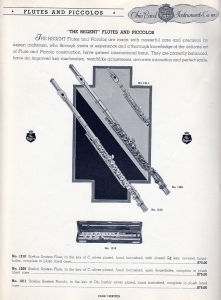 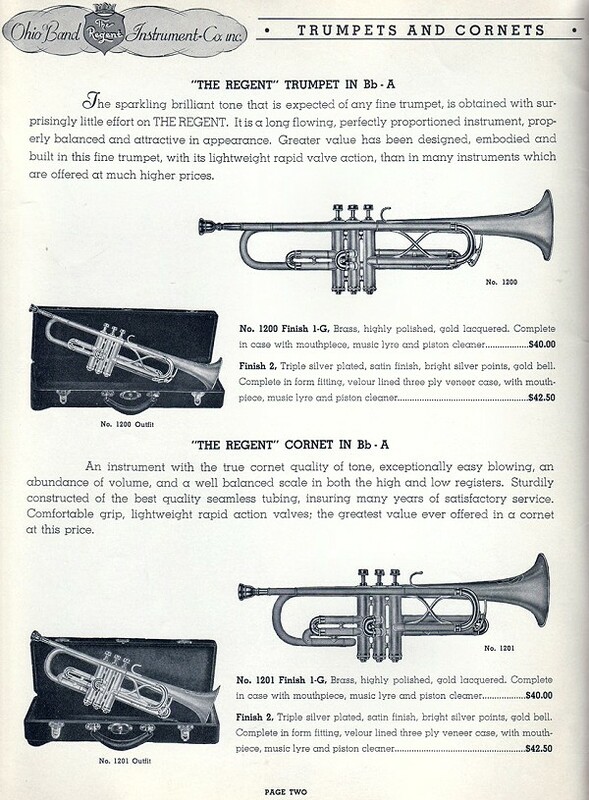 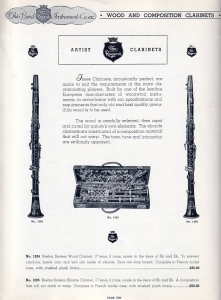 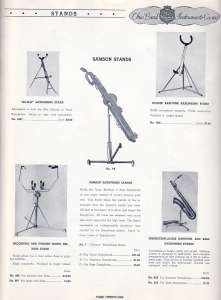 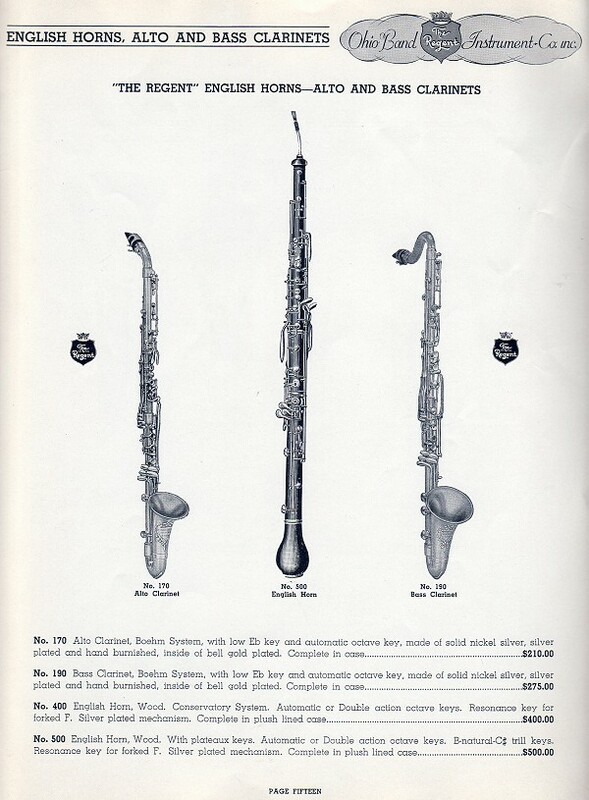 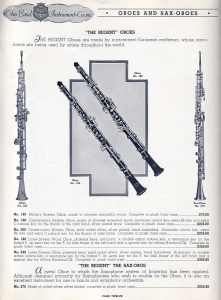 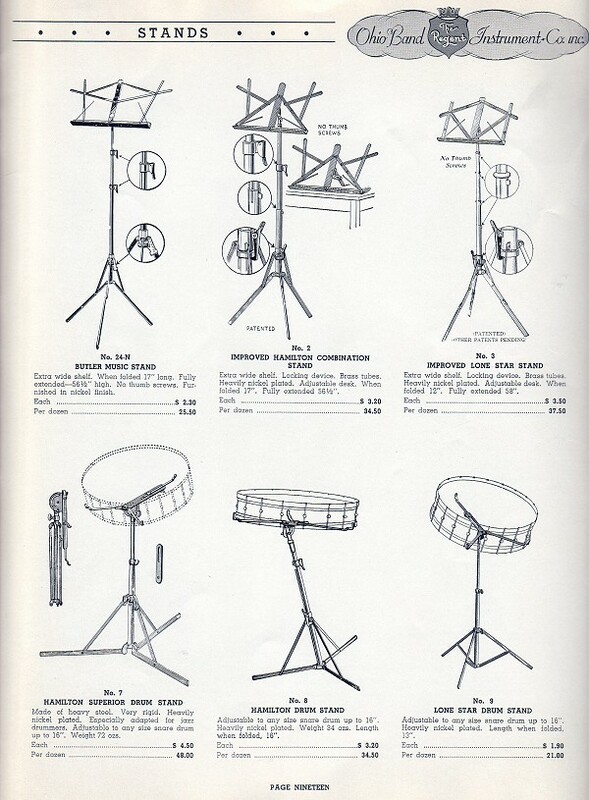 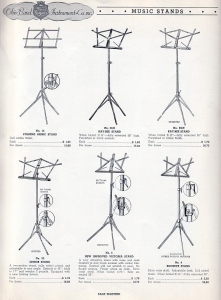 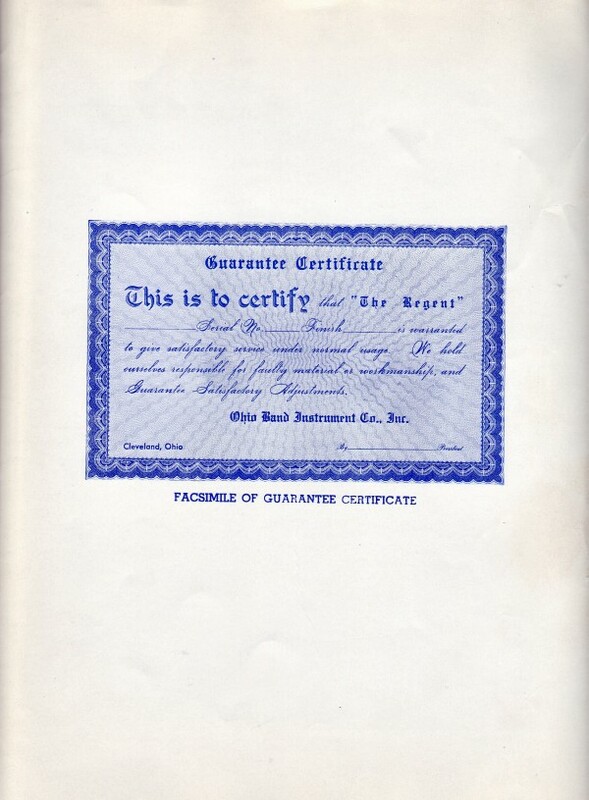 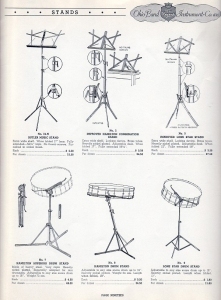 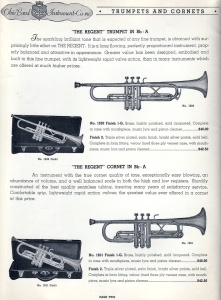 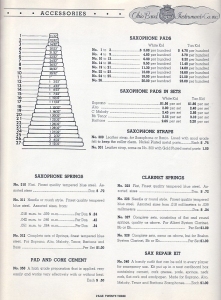 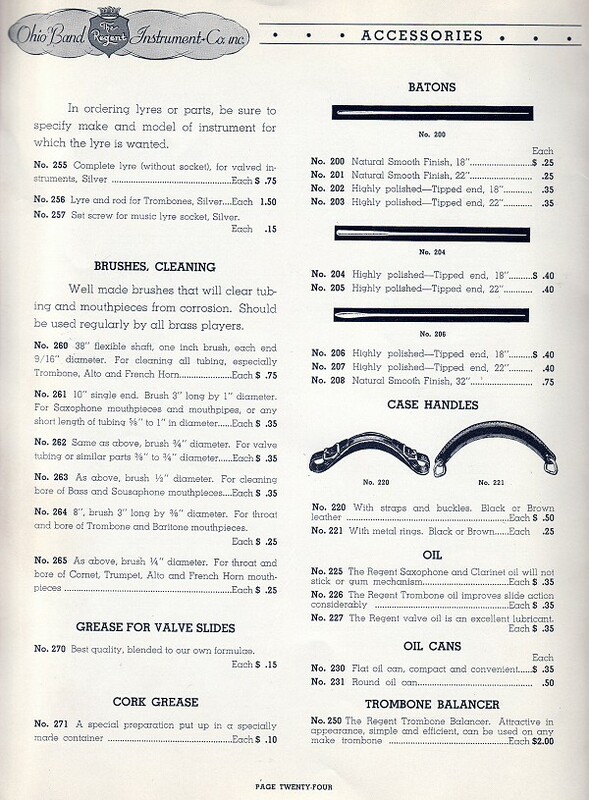 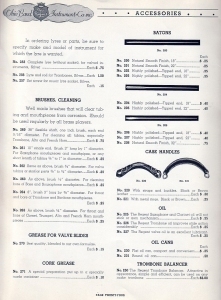 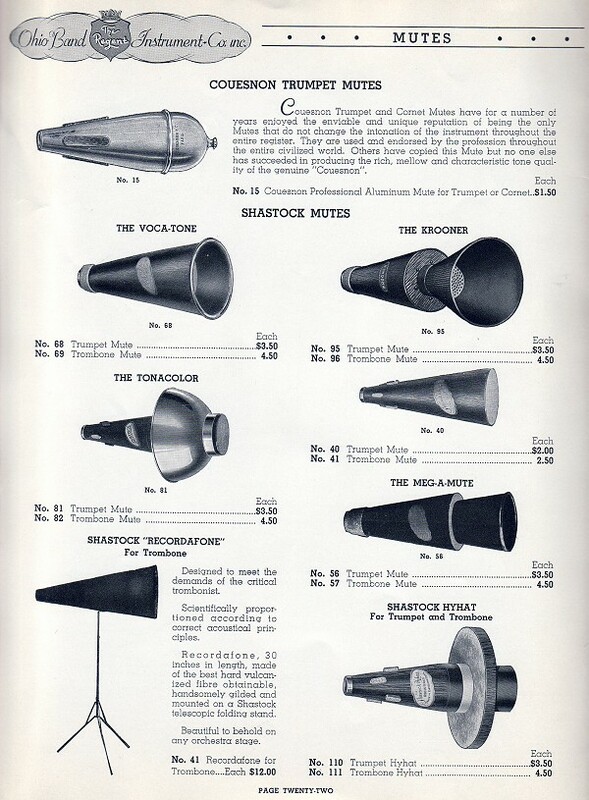 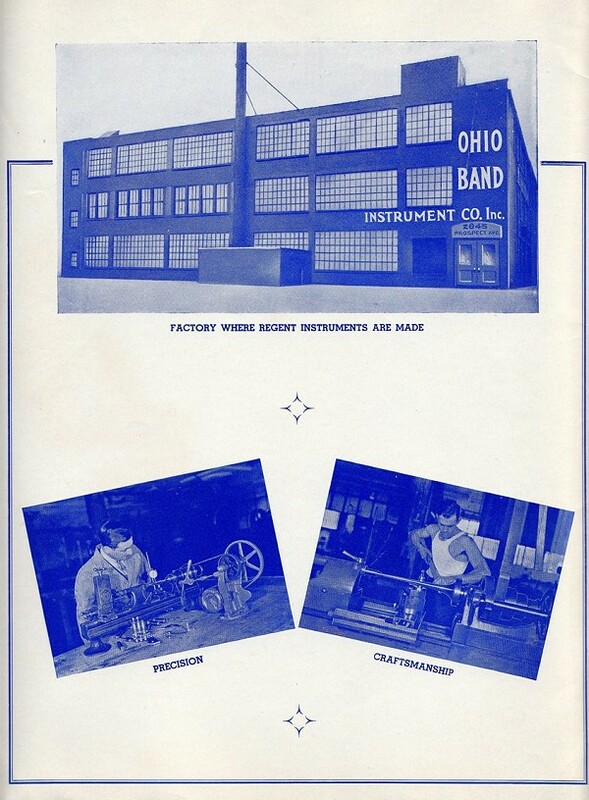 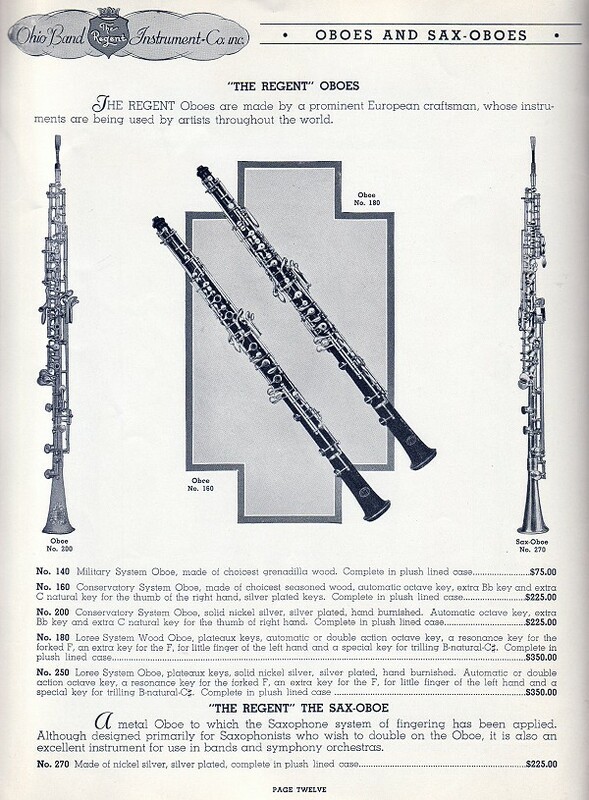 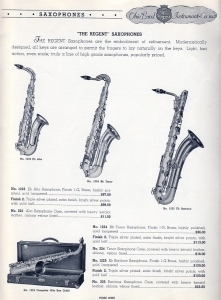 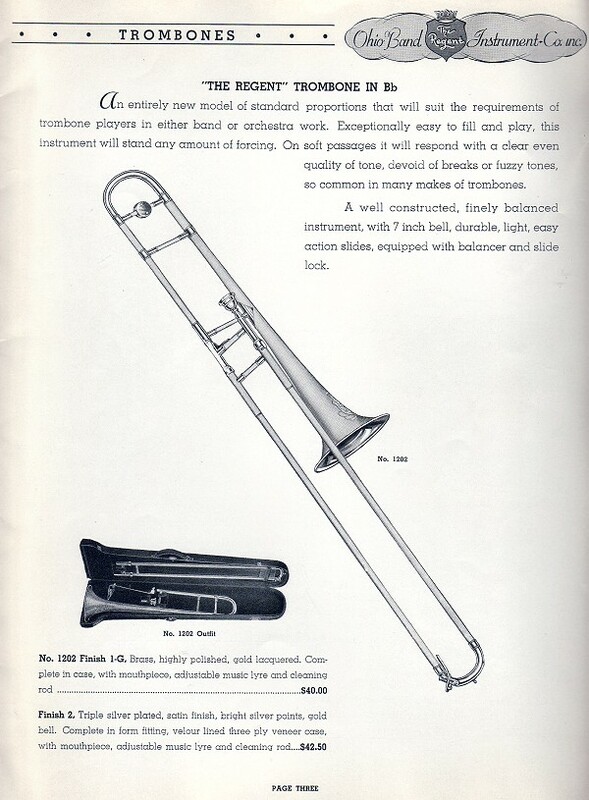 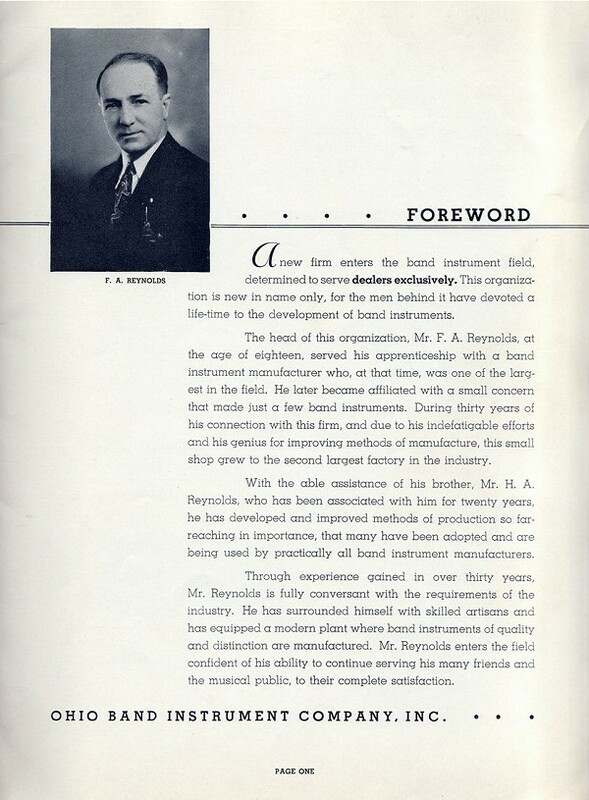 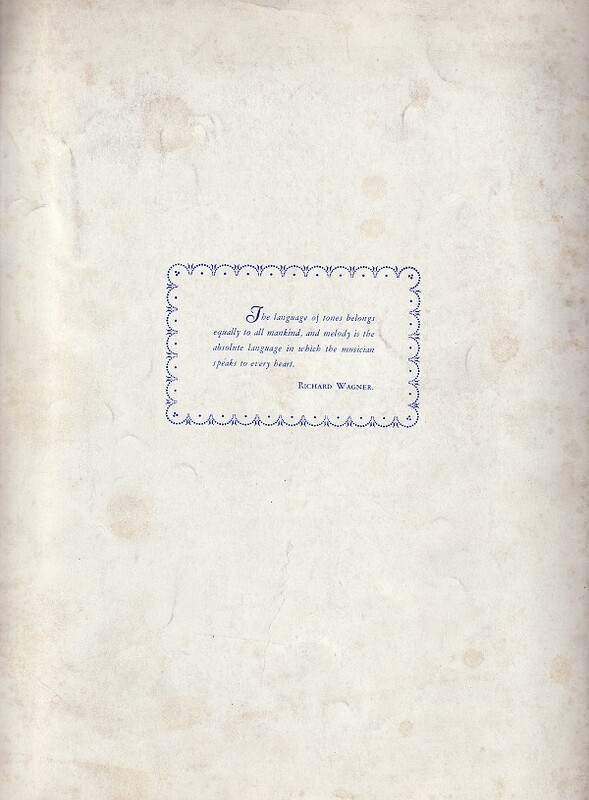 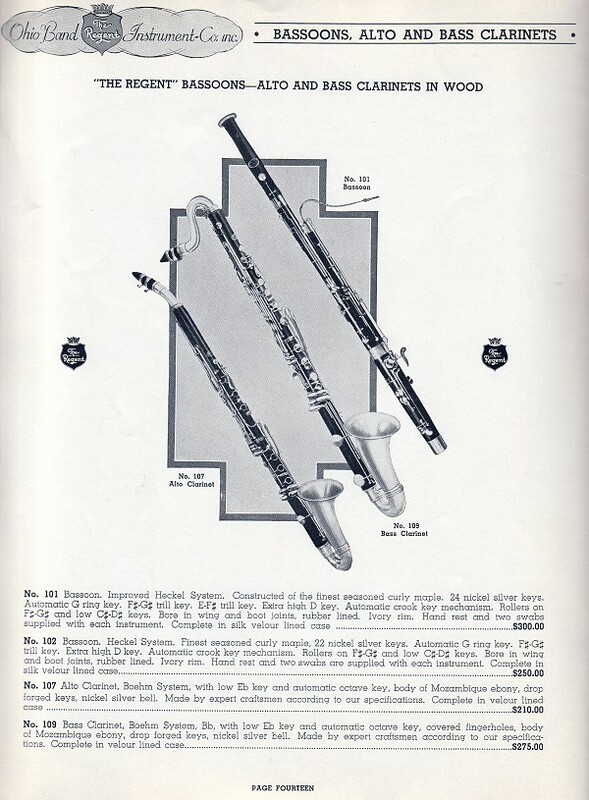 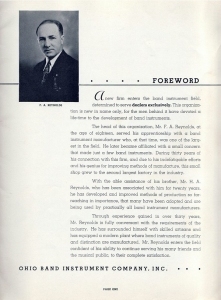 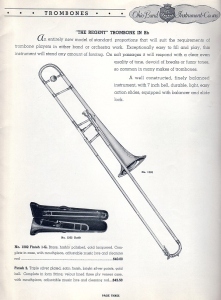 The Ohio Band Instrument Co. offered band instrument dealers a full catalog of Regent-brand brass and woodwind instruments, and band accessories, including stands, mutes, mouthpieces, reeds, etc. 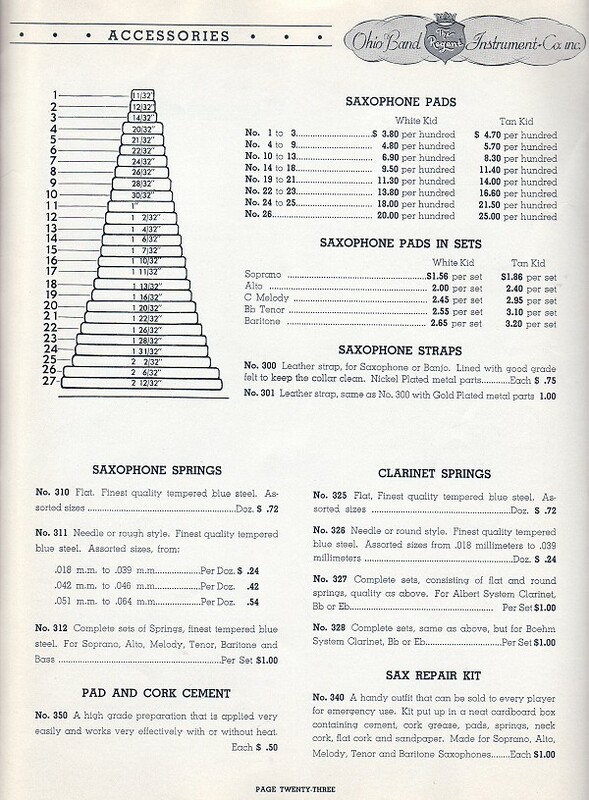 Note: Catalog provided courtesy of hnwhite.com. 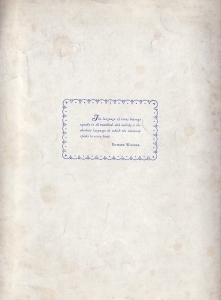 Do not copy, reproduce or distribute without written permission.